Symbyax is a prescription drug that combines the antidepressant Prozac and antipsychotic Zyprexa. It is mainly used to treat bipolar depression in adults and children but can also treat adults with depression who are resistant to other antidepressants. Symbyax was created by Eli Lilly & Co. by combining two of the company’s billion-dollar blockbuster drugs — Prozac and Zyprexa. Prozac is an SSRI antidepressant. Other drugs in the SSRI class include Paxil, Zoloft, Symbyax, Lexapro and Celexa. The U.S. Food and Drug Administration (FDA) originally approved Symbyax for the treatment of bipolar depression in 2003, and in 2009 it was approved for depression that is resistant to other antidepressants. Specifically, Symbyax can be used in adults with depression who have tried unsuccessfully to control depression with two other drugs. Prior to approving Symbyax for treating resistant depression in 2009, the FDA denied Eli Lilly’s application twice. 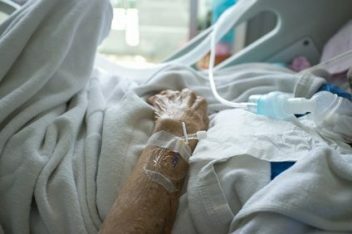 Critics of antipsychotics say doctors prescribe them for unapproved uses and that these drugs should only be used in critically ill patients with schizophrenia. 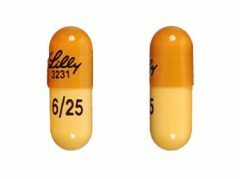 Up until the drug became available in generic form in 2012, it made more than $80 million in annual sales for Eli Lilly in the U.S. alone. Despite the drug’s success, it is not without risks. In fact, Symbyax has a long list of side effects, including a low risk of fatal birth defects when taken by pregnant women. Because it is a combination drug, it carries the potential for side effects arising from antipsychotic drugs as well as SSRI antidepressants. The selective serotonin reuptake inhibitor (SSRI) is better known by the brand name Prozac, the most prescribed antidepressant in history. The atypical antipsychotic is the active ingredient of Zyprexa, which is used to treat the symptoms of psychotic conditions such as bipolar disorder (manic depression) and schizophrenia. Symbyax’s main purpose is to treat depression caused by bipolar disorder, which is associated with episodes of mood swings ranging from depressive lows to manic highs. While researchers are not exactly sure how Symbyax works, makers of the drug say it alters the levels of chemicals in the brain to lessen feelings of depression. Low levels are generally associated with depression. The main function of this neurotransmitter is to mobilize the brain and body for action. This compound helps control the brain’s reward and pleasure centers, along with helping to regulate movement and emotional responses. Dopamine also has an effect on how we see rewards and take action to move toward them. According to Eli Lilly, animals that were given the drug in studies had an increase in all three of these chemicals. The two medicines in Symbyax are delivered in a pill with different dosages of each medicine depending on the patient’s needs. If you are an older female who does not smoke, this medicine may take longer to work or take longer to leave the body. The drug is mostly metabolized in the liver. Adults take one dose once a day in the evening, and it can be taken with or without food. Eli Lilly did not test the safety of using the drug for longer than eight weeks before putting it on the market. However, most people with bipolar depression or treatment-resistant depression have a chronic illness and may have to take Symbyax for the rest of their lives. Symbyax has a black box warning — the FDA’s most severe warning — for suicidal thoughts and behaviors in children, adolescents and young adults 24 or younger. The drug is made for use in both adults and children 10 to 17 years of age, but the dose for children is lower than the dose recommended for adults and has only been tested for effectiveness and safety in controlling bipolar depression. The use of Symbyax in children younger than 18 for depression was not tested. Children tend to suffer more side effects than adults, especially when it comes to weight gain, fatigue and an increase in cholesterol and triglyceride levels. For this reason, the risks and benefits of using the drug in children should be carefully considered. In animal studies, Symbyax was toxic to muscle tissue, reproductive organs and bones in young animals. These risks exist for human children as well, and there have been some reports of these side effects. There have not been enough clinical trials involving people 65 or older to determine whether Symbyax works the same in them as in younger patients. There is a black box warning on the medication for older adults with dementia because Symbyax almost doubles the risk of death in these patients. Researchers also found an increase in strokes and mini-strokes in dementia patients who took Symbyax. Older patients are also at risk for hyponatremia — a condition where there is too little salt in the blood. Since Symbyax combines two drugs, there is a longer list of potential side effects and drug interactions than for either of its component drugs. Some of the side effects are severe and can be life-threatening. Because Symbyax contains the SSRI antidepressant fluoxetine (Prozac), the drug carries a low risk of birth defects when taken by a pregnant woman. Other SSRIs like Zoloft and Paxil also have been linked to severe birth defects. Symbyax has not been specifically tested in pregnant women, although doctors are allowed to prescribe it to them. It carries a pregnancy safety warning of C, meaning adverse events have been reported in animal studies, but it has not been tested on human babies. The antipsychotic in Symbyax, olanzapine (Zyprexa), also carries risks for unborn babies. 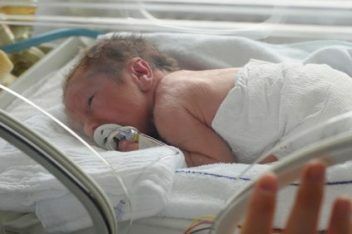 Children born to mothers who used Symbyax while pregnant may have symptoms of withdrawal, including agitation, respiratory distress and feeding disorders. The severity of these symptoms varies, and some babies may need intensive care or prolonged hospitalization. Symbyax may also cause a number of serious side effects, including high blood pressure, pneumonia, seizures and bleeding. Less serious complications can include weight gain. This is a side effect of antipsychotics like olanzapine and can be fatal. The symptoms of this syndrome include irregular pulse, altered mental state, muscle tightness and rigidity and irregular blood pressure. Symbyax may cause high blood sugar in adults and children, which may lead to Type 2 diabetes. Some patients even had to continue treatment for high blood sugar after discontinuing Symbyax. The drug is also risky for people who have Type 2 diabetes. There were some severe cases reported that led to coma or death. Triglycerides are a type of fat found in your blood, and normal limits are less than 150 milligrams per deciliter. In studies, researchers found Symbyax increased triglyceride levels to as much as 500 milligrams per deciliter. It is also known to increase cholesterol. High triglycerides and cholesterol increase the risk for heart attack and stroke. Serotonin syndrome is a potentially fatal condition that occurs when the body makes too much serotonin. Because Symbyax works by increasing serotonin, there is a chance that the body may have too much. Taking Symbyax with other medicines that increase serotonin increases this risk. For this reason, all medications must be discussed with your doctor. Tardive dyskinesia is a disease that causes involuntary muscle movements similar to Parkinson’s disease. It is known to be a side effect of antipsychotic drugs. In some cases, it is irreversible. The majority of litigation history related to Symbyax spawns from one of the drugs’ active ingredients — olanzapine (Zyprexa). By 2007, Eli Lilly paid $1.2 billion to settle 30,000 individual lawsuits from people who claimed they developed diabetes or other diseases after taking Zyprexa. A year later, the drugmaker agreed to pay $15 million to the state of Alaska to settle the state’s claim to recoup medical bills it said were generated by Medicaid patients who developed diabetes while on Zyprexa. 30,000 people claimed they developed diabetes or other diseases after taking Zyprexa — a drug found in Symbyax. In 2009, Eli Lilly plead guilty to a violation of the Federal Food, Drug, and Cosmetic Act and was sentenced to pay a $515 million criminal fine and forfeit an additional $100 million in assets. The U.S. Department of Justice investigation involved off-label marketing of Zyprexa for unapproved FDA uses. This string of litigation came before the FDA approved Symbyax for depression. Although there has been no multidistrict litigation established for Symbyax, some individual lawsuits have been filed nationwide related to birth defects. In 2006, the U.S. Food and Drug Administration responded to research linking antidepressants that act as SSRIs to an increased risk of PPHN. The FDA ordered Eli Lilly and other makers of SSRIs to include warnings about potential birth defect risks in prescribing information. Families of children who have been injured by antidepressants such as Symbyax prior to the revised FDA warnings may be eligible to file a lawsuit.